Zebra Technologies has introduced its new line of tabletop label printers with a wide range of advanced features. Let's take a look under the hood and see what innovations these printers are bringing to the packaging industry. The ZT510, Zebra ZT610 and ZT620 industrial thermal transfer printers are the next generation printers that combine rugged durability and exceptional performance on a user-friendly, future-ready platform. 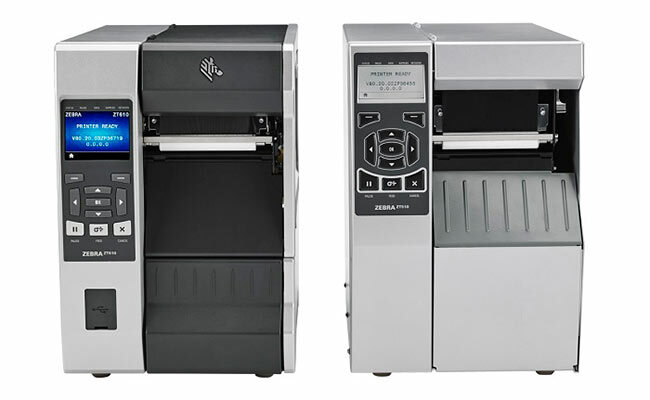 These new models will be replacing some of the older label printers from the Zebra line-up: the Zebra ZT510 replaces the 105SL Series whereas ZT610 replaces the 110Xi4 Series and ZT620 replaces the 170Xi Series. Let's take a closer look at these new printers and see how they might fit into your label production. Before purchasing an industrial printer, you should be aware of its features and your own job requirements. There are many different makes and models of label printers in the marketplace. By taking the time to understand all the different options available, you will ensure you have a printer that can get the job done now and long into the future. Zebra ZT510 industrial label printer is the next generation of the 105SLPlus series, building on the legacy of the industry-leading 105SLPlus printer. This new printer has the core features you need in an industrial printer at a cost-effective price point. With it's proven, durable design and construction, the ZT510 also features advanced management and monitoring capabilities. That means you get 24/7 reliability to keep your operations running smoothly, plus longevity and advanced functionality to power through every challenge in the years to come — all at an exceptional value.